Matt Cadman and his board of directors have a provocative vision for the Numerica Performing Arts Center far beyond putting on great entertainment. They see the PAC’s deeper purpose as uniting the community by bridging divides and equalizing opportunities. Cadman sat down recently for a video interview and talked about this new vision for the theater. When Cadman took over the reins, the PAC was struggling financially. The business model, which was largely built on subsidizing performances, led to very pricey tickets that kept attendance low. Furthermore, the PAC was catering to a narrower audience — often older, wealthier, and white. The long-time educator, actor and third-generation Wenatchee resident, brought a new vision, passion and determination to the role of executive director. He moved quickly to have every show in the season sponsored by way of a “Spring Fling” that allowed supporters to bid on shows that they wanted to sponsor. He coined the motto, “Every show sponsored, every seat sold”. The approach was a hit. It created a greater sense of community with donors who were helping shape the next season of shows and at the same time allowed the PAC to dramatically reduce ticket prices. That led to a tripling of the attendance compared to previous years and fueled the financial success of the organization. Furthermore, they have ambitiously sought to diversify the shows to appeal to a wider variety of individuals. 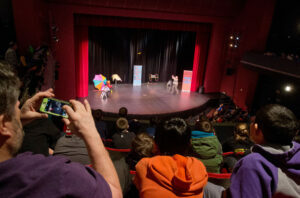 As Cadman puts it, you may not resonate with every show in our season, but they strive to present a diverse showcase of world-class talent and that, hopefully, you can afford and love — whether it’s Chinese acrobats, comedy, musical theatre, burlesque, concerts, dance, or any other type of performance. Significantly, Cadman created a Latino Council made up of 10 leaders in our valley to help him think of creative ways to diversify the shows. Latino Council member Gustavo Montoya, who’s the publisher of El Mundo, said the council’s focus goes beyond the Latino population. They strive to tap into the diversity of talent and interests in the valley. Most recently, Cadman was able to strike a deal with Music Theater of Wenatchee to put on Mary Poppins, which wowed the sold-out crowds during Apple Blossom. He’s built strong relationships with other arts and cultural organizations, as well. He’s a collaborator rather than a competitor, which is the model for building a strong and resilient community. 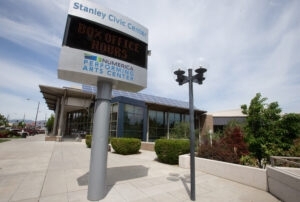 The Numerica PAC has initiated collaborations with other local non-profit organizations, such as the Wenatchee Valley Museum and Cultural Center, Wenatchee Valley Humane Society and the NW Regional Library to host performances that don’t fit the PAC’s business model. It’s a way of working together for the greater good. All of these actions have created energy and excitement as well as financial success. Cadman, who had no background in managing an arts organization, was clearly the right person for the job. His passion for what he calls “this precious little theater” is almost irresistible. When he steps onto to the stage to announce each show and thank its sponsors, he brings a powerful sense of showmanship and theater. Cadman has found a perfect role for his talents. With the finances stabilized and momentum built, Cadman and the PAC board have set their sights on helping transform this region. “My background is in education with a real love for kids, especially the disenfranchised,” Cadman told me. “And especially coming back to Eastmont, where we have staggering poverty that may not be above the surface in a lot of people’s lives,” he added. The theater, Cadman tells me, is a community asset and the future is about shared ownership and a shared vision with all parts of the community. When he took over at the PAC the programs had a narrower focus,almost exclusively for a White, rich and older audience, which left out a significant number of people who live and work here. “There was an entire 35 to 40 percent of the population that we weren’t embracing,” Cadman said, alluding to our large contingent of Latino neighbors. The communities in this region have a sizeable percentage of families below the poverty line. Twenty of the 24 elementary schools in our region, Cadman said, have more than 50 percent of their students on free and reduced lunch programs and there is a direct correlation to Latino demographics. 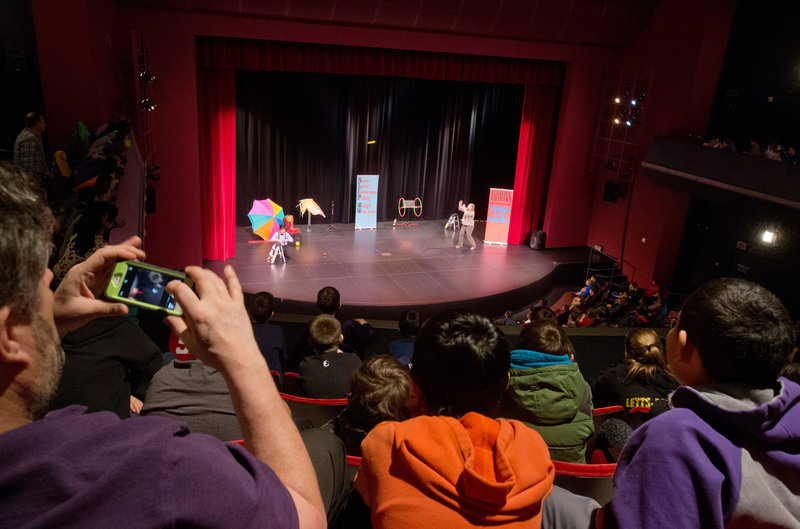 Families with few resources are unlikely to take advantage of seeing a show at the PAC, so they launched “Every Kid at the PAC,” a new initiative that is focused on making sure that all kids have exposure to the arts, regardless of income level. The community doesn’t belong to one or two groups, said Cadman. It belongs to everyone, and so do the arts. 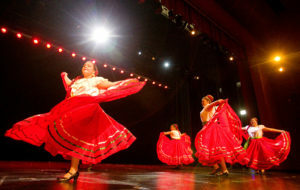 Wenatchee’s Got Multicultural Talent rehearsal. Next story Could we slash chronic homelessness like Utah?